When Patrick is murdered, Katelina is left with questions. 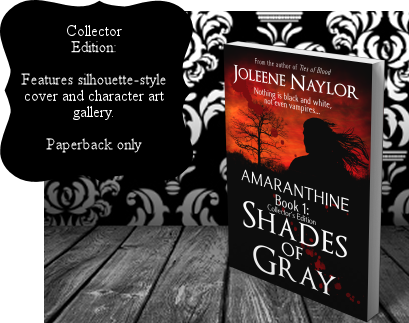 Jorick, one of his so-called friends, has answers of the darkest kind: Patrick was involved with - and betrayed - a coven of vampires; vampires that may now be after Katelina. The tale is fantastic, but the proof appears in a flash of fangs that Katelina and Jorick only just escape. Taken to a secret mansion, she discovers horror in its halls and learns the truth about her protector. Blood and destruction follow, and leave scars Katelina may never heal from. 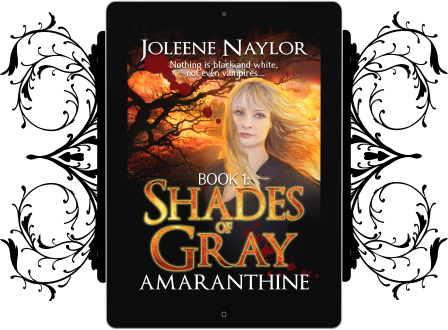 The disturbing opener to the Amaranthine series pulls Katelina into darkness that tastes like fear and smells like blood, a world where night is eternal and vampires don't sparkle.